The amazing digital marketing campaign of 'Golmaal Again' sets a new benchmark in Indian movie sphere! Digital Marketing is the art of creating genuine customer value and engagement. The objective of Golmaal Again’s digital marketing campaign was to re-establish the audience’s association with the Golmaal brand and leverage the pre-existing loyal fan base of the Golmaal franchise. Before we discuss the campaign in details, here are some of the points whittled down from the whole report. The campaign commenced with an announcement of the trailer with a vision of making fans an integral part of it. They were given an exclusive chance to be a part of the trailer launch event. Fans were asked to showcase their excitement for the trailer through a Boomerang video and selected entries would be invited to watch the trailer at the launch event. The team garnered a large number of entries across all social media platforms with hashtags #GolmaalAgain, #GolmaalAgainTrailer and #GolmaalAgainTrailerInvite, actively engaging thousands of users. Golmaal Again is an ensemble film with stars who have a widespread digital presence. The digital marketing team used this to their advantage, especially during the trailer launch. When the trailer was launched on Facebook, it was cross-posted by all the stars as well as content partners on board for the film. This helped push the trailer which went on to attain a staggering reach. 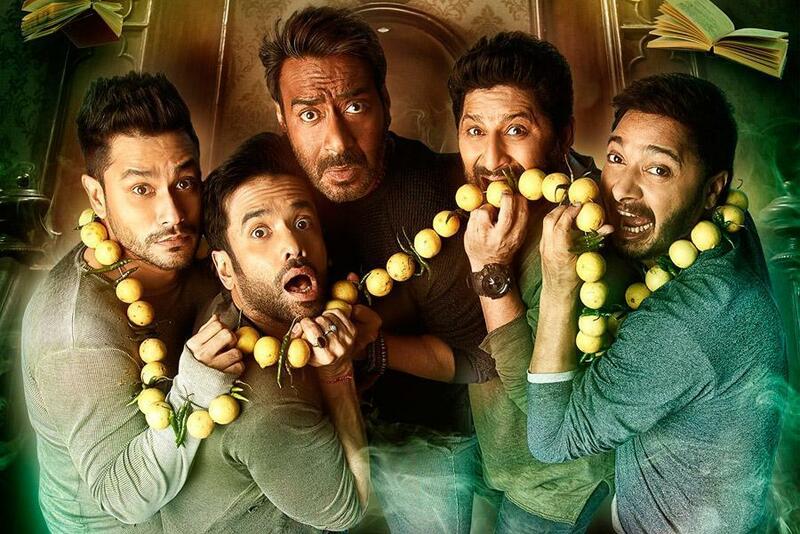 User-generated activities including #OoAyEeWithGolmaal, #HumNahiSudhrenge, and the launch of a WhatsApp activity, #GolmaalKaHafta was critical in keeping the fans engaged throughout the campaign. Fans were gratified with exclusive Golmaal Again merchandise, goodies from a brand partner and a select few were invited from different parts of the country to come and meet the entire Golmaal family. Post the release of the film, fan reaction videos from Dubai, India, and other parts of the world were consistently leveraged across all social media platforms to spread the positive word of mouth. A surprise star cast visit to a popular Cinema Hall in Mumbai was disseminated as real-time content on all properties. A short Facebook live video of the star cast greeting the fans at the cinema entrance was carried out which in turn garnered a total reach of 17.9K views. Positive reviews, fan reactions, etc were consistently pushed on all platforms. Given the overwhelming response to the film, Golmaal Again’s social media platform was flooded with images and videos of success interviews, team lunches and talent visits to keep conversations around the film flowing. The grand celebration of the success of Golmaal Again was taken to a larger scale with the announcement of the 5th instalment. Not only was #GolmaalAgainTrailer trending on Twitter India for 6 hours, it trended in Mumbai for more than 10 hours. The trailer garnered more than 20 million views within 24 hours. The trailer was also trending at the top spot on YouTube for 4 days. Golmaal Again is also one of the most shared pre-released Bollywood films of 2017 on Facebook and the trailer has become the third most shared Bollywood film trailer of 2017 with more than 45,000 shares in a little over a month. #GolmaalAgain also trended on Facebook for 48 hours. The official film handles have crossed more than 10.8K followers on Twitter and 13.3K followers on Instagram. The film has done phenomenal numbers at the box office, grossing 200 crores in India and a total of 300 crores worldwide! The digital marketing campaign helped engage users from across the nation thereby getting a large section of the audience to go to the theatres with their families to watch the film. Given there will be a fifth part of the blockbuster franchise, the groundwork has already been completed in terms of digital strength and social media numbers. Rohit Shetty steps in the world of animation with ‘Little Singham’!